That the ancient kingdom of Commagene was indeed an Armenian kingdom is apparent from depictions found on numerous artifacts. For example below are two coins of Antiochus I Theos of Commagene who was responsible for constructing the megalithic statues of ancient Armenian deities on mount Nemrut (in today’s Turkey). We can see he is wearing the Armenian Tiara with the coat of arms of the Armenian Artashes (Artaxiad) dynasty, as can equally be observed on the coins of Tigranes the Great of Armenia. Antiochus I Theos of Armenian kingdom of Commagene, wearing an Armenian tiara depicting the coat of arms of Artashes (Artaxiad) dynasty (Circa 69-34 BC). 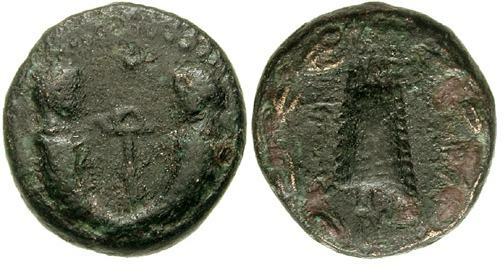 Compare the above coins with the coins of Tigranes the Great depicting the coat of arms of his dynasty (bellow). 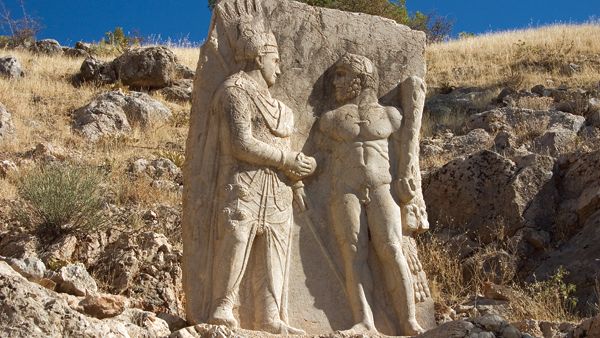 Antiochus I Theos shaking hands with Vahagn (Heracles), on a relief of the temple at mount Nemrut. 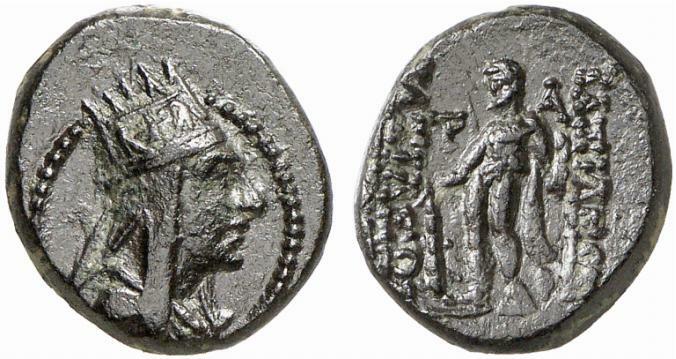 Bellow we can see coins of Artashes (Artaxiad) rulers also depicting Vahagn (Heracles), attesting to their affinity with this particular deity. Coin of Tigranes the Great (140–55 BC). Left bust of Tigranes, right depiction of Vahagn (Heracles). Left bust of Tigranes V (ca. AD 6-12). Right, Vahagn (Herakles) holding club set on ground and lion skin. Yet another set of coins of Commagene reveal more similarities. Below are the coins of Epiphanes and Callinucus of Commagene (sons of Antiochus IV, 72 AD), bearing the symbol of royal Armenia (an Armenian Tiara). Epiphanes and Callinicus, sons of Antiochus IV, 72 AD. Anchor between cornucopiae containing the heads of the princes Epiphanes and Callinicus, on the flip-side depiction of an Armenian tiara. For the sake of comparison below we can see two Roman coins depicting symbols of Armenia (after Rome conquered Armenia) with a description “Armenia Capta” (Armenia captured). Observe the same symbolic tiara that represented Armenia during these ancient times. 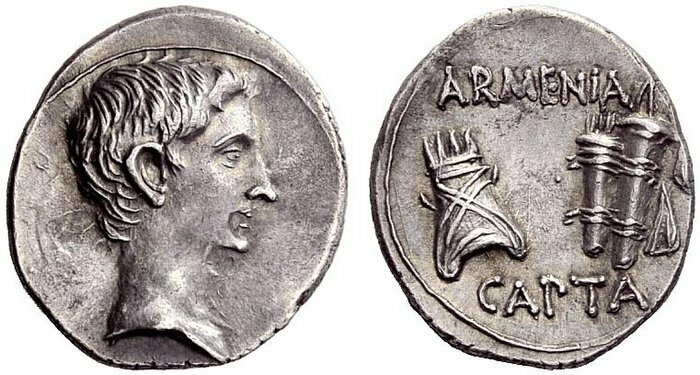 Silver coin of Augustus circa 19-18 BC, in celebration of the victory over Armenia. On the right “Armenia Capta”, with symbols of Armenia; Armenian Tiara and bow case with quiver. Wow – this one is very interesting. Thanks for sharing!